Why Learn Python at Coding Campus? Coding Campus offers both part-time and full-time courses in Full Stack Web Development in Provo, Utah.Founders Michael Zaro and Guy Harding chose Python as their teaching language, something that sets Coding Campus apart from the majority of coding bootcamps in the US. Sariah Masterson, Coding Campus' Program Director, explains why you should be excited about Python and Django! The majority of web development bootcamps teach Ruby + Rails. Some say it’s because the community’s easier to work with, others say the first few bootcamps taught Ruby and that became the standard “me-too” company option. -Why go to California when you could learn Ruby in your home-town right? I for one agree with former Dev Bootcamp founder, Jesse Farmer - “Ultimately, you should go to a bootcamp because you have inside you a deep, burning desire to learn how to program.” It doesn’t matter if your bootcamp of choice is Ruby focused or not, what matters is that you’re ready to dive in and get started. It’s that drive that will make hours and hours of practice bearable. With this in mind though, I won’t deny that in spite of how clever you are, when it comes to finding a job, some languages are in more demand than others. A quick Glassdoor.com search of Ruby related jobs brings up a list of 4,620 open positions all over the United States. That’s a lot of opportunities from California to D.C., but have you ever swapped out Ruby for Python in a similar search? The results bring up 13,519 jobs. 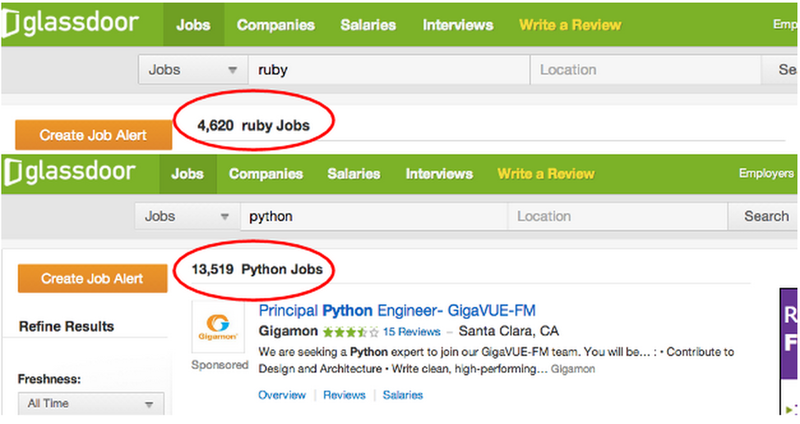 That’s 8,000+ more positions than the Ruby search. Why are they teaching Ruby again? At Coding Campus, we specialize in Python/Django. It’s in-demand and teaches you programming first, framework second. Yes, yes, I know that a lot of the Python jobs out there aren’t web development specific, but imagine the potential we’re giving our students? With a good understanding of Python they only have room to grow. “Ruby is good, but Rails can be constraining -- if you use it, you’re committed to using Rails and that’s it, Django is simpler and uses clean Python, which is used everywhere: scientific community, high level engineering, server side scripting” -Chris Stevenson, Verisage Developer. 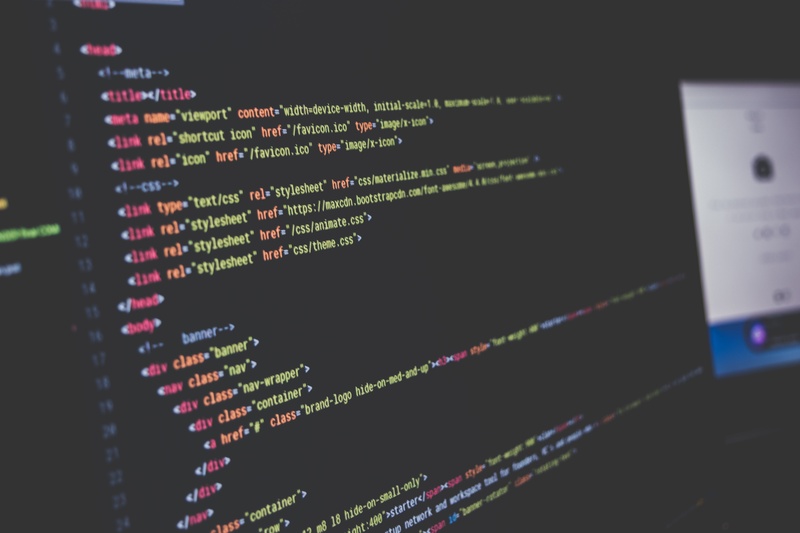 Ultimately, as any developer will tell you, every language has its place - I mean that’s why there are so many - and Ruby + Rails is great for web development; but at Coding Campus one of our goals is to build up the developer industry and employ our students. 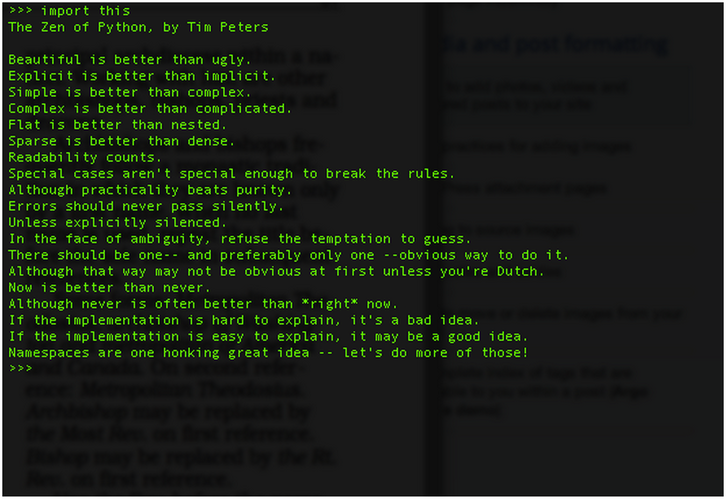 From Google and Reddit to Quora and Mozilla, Python seems to be the key. 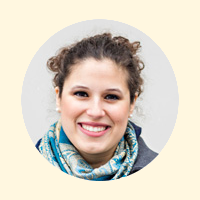 Sariah Masterson is the program director for Coding Campus. Although born and raised in Seattle, Washington and having lived not too far from Bill Gates, she's a Macintosh fan. Sariah is very involved in the Utah tech community and is a strong supporter of engaging more women in STEM. To learn more about Coding Campus, check out their School Page!